To be referred to a Consultant acceptable to them when they and their GP think it is necessary, and to be referred for a second opinions if they and their GP think it is advisable. To receive a copy of their doctors practice leaflet, setting out the services provided. To receive a full and prompt reply to any complaints they make sure about the care they receive at the St George's Medical Practice. An urgent appointment with a Doctor will be available on the same day. An appointment with a Practice Nurse will be available within three working days. Some disease review appointments may be longer as they may require several appointments together. Requests for repeat prescriptions will be dealt within 48 hours. This can be in person, by fax or post, on-line via SystmOnline or via a local chemist. We wish to make the St George's Medical Practice as accessible as possible. If you have hearing, visual or physical difficulties please let the receptionist know so that we can enable you to fully use our services. A home visit should only be requested for those who are unable to come to the surgery because of serious illness or infirmity. Please ring the surgery before 10:30am if at all possible. Make a separate appointment for each patient that needs to be seen. This allows the Doctor enough time to treat each patient. 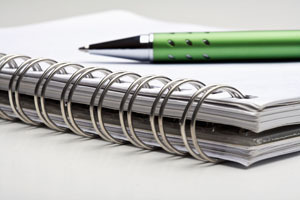 We do operate a complaints procedure - our patient complaints information sheet gives details of the procedure and is available from reception, or from the link below. However, if you do have a concern, we would encourage you to initially discuss it with one of the partners. If you remain dissatisfied with the outcome of our in-house investigations we can provide details of other organisations who will be able to help you further. We are continually striving to improve our service. Any helpful suggestions would be much appreciated and a suggestion box is located in the foyer. You can also submit your comments / suggestions on-line via the link on the 'contact us' page. We are an established GP training practice and have registrar doctors working with us. GP Registrars are qualified doctors who are gaining experience in General Practice. 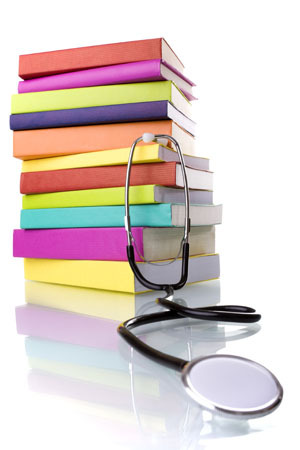 We often have medical students in the practice too. They may be in their first, second or final year of training and are with us to learn about general practice. You may find one accompanying your doctor during consultation, if you object to this please let your doctor know this and the student will be asked to leave. Sometimes it is helpful to both the patient and the doctor to have another person in the room during a physical examination. Please understand that you may ask for a chaperone to be present and the doctor will not be offended. The doctor themselves may also request another person to be present. 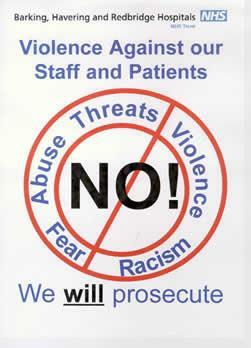 The practice supports the Government's NHS zero tolerance to violence campaign. Doctors and their staff have the right to care for others without the fear of being attacked or abused. A patient who has committed an act of violence or abuse against the doctor, the staff or any other person present, either on the practice premises or in another place where treatment is given by the practice, will be reported to the police and removed from the practice list with immediate effect. All new patients registering with the practice will be asked to complete a Data Sharing Agreement form indicating their preference as to whether they are happy/not happy for their GP record to available to be seen by other healthcare teams who are involved in their care. This preference can be changed at anytime. For the purpose of safeguarding and promoting the welfare of children all under 16's GP record will be automatically shared out. What kinds of personal information about you we process? For the purpose of applicable data protection legislation (including but not limited to the General Data Protection Regulation (Regulation (EU) 2016/679) (the "GDPR"), and the Data Protection Act 2018 (currently in Bill format before Parliament) the practice responsible for your personal data is St. George’s Medical Practice. St. George’s Medical Practice will be what’s known as the ‘Controller’ of the personal data you provide to us. Risk stratification data tools are increasingly being used in the NHS to help determine a person’s risk of suffering a condition, preventing an unplanned or (re)admission and identifying a need for preventive intervention. Information about you is collected from a number of sources including NHS Trusts and from this GP Practice. A risk score is then arrived at through an analysis of your de-identified information and is only provided back to your GP as data controller in an identifiable form. Risk stratification enables your GP to focus on preventing ill health and not just the treatment of sickness. If necessary, your GP may be able to offer you additional services. Please note that you have the right to opt out of your data being used in this way. All employees and sub-contractors engaged by our practice are asked to sign a confidentiality agreement. The practice will, if required, sign a separate confidentiality agreement if the client deems it necessary. If a sub-contractor acts as a data processor for St. George’s Medical Practice, an appropriate contract (art 24-28) will be established for the processing of your information. We would however like to use your name, contact details and email address to inform you of services that may benefit you, with your consent only. There may be occasions where authorised research facilities would like you to take part in innovations, research, improving services or identifying trends. We may also use external companies to process personal information, such as for archiving purposes. These companies are bound by contractual agreements to ensure information is kept confidential and secure. All employees and sub-contractors engaged by our practice are asked to sign a confidentiality agreement. If a sub-contractor acts as a data processor for St. George’s Medical Practice, an appropriate contract (art 24-28) will be established for the processing of your information. Right to erasure: In certain situations (for example, where we have processed your data unlawfully), you have the right to request us to "erase" your personal data. We will respond to your request within 30 days (although we may be allowed to extend this period in certain cases) and will only disagree with you if certain limited conditions apply. If we do agree to your request, we will delete your data but will generally assume that you would prefer us to keep a note of your name on our register of individuals who would prefer not to be contacted. That way, we will minimise the chances of you being contacted in the future where your data is collected in unconnected circumstances. If you would prefer us not to do this, you are free to say so. You will need to give adequate information (for example full name, address, date of birth, NHS number and details of your request) so that your identity can be verified, and your records located in order for us to provide information we hold about you at any time. You should tell us so that we can update our records, please contact the practice as soon as any of your details change, this is especially important for changes of address or contact details (such as your mobile phone number), the practice will from time to time ask you to confirm that the information we currently hold is accurate and up-to-date. Should you have any concerns about how your information is managed at the practice, please contact the GP Practice Manager or the Data Protection Officer. If you are still unhappy following a review by the GP practice, you have a right to lodge a complaint with a supervisory authority: You have a right to complain to the UK Supervisory Authority as below.